DigitalCIO is an enterprise-based web portal on Information Technology (IT) and is one of India’s leading IT web site which disseminates latest news, articles, analysis, interviews and various contents to the IT professionals and next gen leaders. We bring you the latest editorial contents from our experts and IT Industry. DigitalCIO is the technology media brand of TechSecure Media and has been serving the IT Security Industry since 2010. 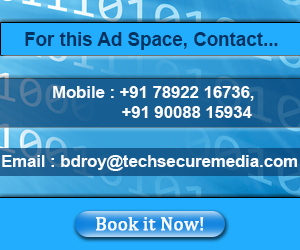 We have a highly dedicated and motivated team to serve every sphere of the IT Security spectrum.